Allison Stevens became a Christian at a young age. Then she makes a wrong decision that takes her on a collision course of disappointment and heartache. God loves her and wants her back, but Satan wants to keep her in a life of despair and lies. Heavenly Spirits are sent by God to instruct and remind Allison of God’s promises. Can she walk the path God intended for her and find the joy that’s missing in her life? A family she didn’t know she had, a man grieving his personal loss, and a felon who wants her dead makes her life more complicated than ever. Can she find happiness outside of the chaos? On the way back to God, she discovers that there are still struggles, but now she knows she isn’t alone. God is with her. Can she stay strong and ward off the lies of the devil? The concept of this story and the overall plot is good. A woman who had turned her back on God is restored and though she suffers great loss, she gains a family she had not known. I liked the fact that the author clearly has a love for the Lord and that she wanted to convey that through this book. I also liked the explanation of the importance of putting on the spiritual armor of God described in Ephesians. I value a Christian message in the stories I read and appreciate the fact that this was the goal of the author. The overall message was one of forgiveness and hope. I had expected this to be a little bit like a Frank Perretti novel, with the “heavenly spirits” having an invisible yet significant part. I did not expect them to appear like Scrooge’s ghosts to deliver a message from God and then disappear. That seemed a little strange to me. Additionally, I did not agree with the comment made near the beginning that the spirits help many people to not stray from the path. That is not a Biblical principle. The Holy Spirit has that role in our lives, not angels. Their role is as messengers, not to keep us from sin. The story was very difficult to read. There were many errors. It went from being written in one tense to another, even in the same paragraph at times. It also went from third person narrative to first person and back. Sentences containing statements ended in question marks. A number of elements were not explained well, and some things just simply did not make sense. Others have read this book who do not hold my opinion. As of right now, there are 4 reviews on Amazon that average 4.7 stars, so I leave it to you to decide whether to read it or not. I was thinking about a Christmas Carol and the ghosts of Christmas past, present, and future one day. I’m a Christian author, so I thought, why not use Heavenly Spirits to enlighten a person who has lost their way. It just evolved from there. I did a lot of praying for direction during my writing process and consulting God’s word along the way. I feel God was giving me the inspiration to write it. I found myself getting very emotional while writing certain parts of the book which is something I had never experienced before with any of my other novels. I was feeling the characters pain and /or joy at times. My purpose for the story was to get the message across, that we are all broken, but God uses the broken for great things. Within the story, Allison’s one decision to finally follow the path God intended for her, not only changes her life but the lives of the all the people who come to know her. To celebrate her tour, J.E. Grace is giving away a grand prize of a $25 Amazon Gift Card!! J.E. Grace was born and raised in Northern California. At a young age, she was an avid reader which led to her interest in fiction writing and poetry. 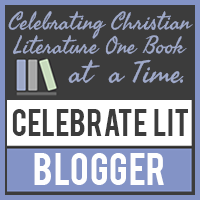 She writes mainly in the Christian Fiction genre and continues to educate herself in the craft. All of her work has underlying Christian overtones which are a reflection of her faith in God. In 2000 she moved to the Midwest with her husband and now calls it home. She loves the Missouri countryside and is amazed by the variety of subjects that serve as inspiration for her artwork. She is an oil/pastel painter and digital artist. Her work can be seen at Fine Art America, Society 6 and Zazzle. She retired from a career in real estate in 2012, to finally concentrate on her writing. She published her first novel, a science fiction titled, “The Zarion-Saving Mankind in 2016 and her Pacific Cove Series of Short Reads: Haunted Visions & Testament of Faith. 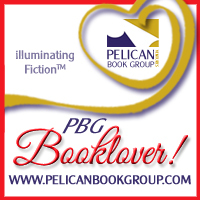 She is currently working on several new projects: Book 3 in her Pacific Cove Series and a mystery novel. Thanks for being part of the Celebration Tour. Have a blessed day. This could be a misleading book for Christians not well grounded in the Bible. I’m often surprised that book like this got published – when there are many errors or it’s hard to follow. It’s amazing how people can leave such different reviews! I don’t think I would enjoy this book, based on what you say.